Do you even imagine how important is to reach your customers using their native languages? You can not only implement all principles of international SEO practices by using a multilingual store but also make your message more personalized and aimed towards new customer segments. Not for nothing, the Magento ecosystem offers so many stores and currency switchers. From the perspective of an e-commerce store owner, you only need to translate the existing store data into multiple languages, but how to optimize this process as much as possible? Below, we shed light on how to translate products data into another language during the Magento 2 import. The default import and export tools of Magento 2 are a pill hard to swallow: they are slow, limited, and totally unautomated. You have to run multiple procedures manually and repeat different time-consuming tasks every time a data update is required. And, as you might have already guessed, there is no opportunity to translate product data during the import process. Luckily, we know how to solve this issue along with multiple other problems. Meet the Improved Import & Export Magento 2 extension – your most crucial time-saver when it comes to import and export processes. Furthermore, it is the only solution of its kind that lets you automate data translations during the Magento 2 import. Not just product information can be translated – our module supports all entities. But how does the plugin improve the default routine in this field? The work of the Improved Import & Export Magento 2 extension is based on profiles (jobs) which are split into two sections depending on the data flow direction they are bound to. Thus, you need to select the import section of the module and create a new job there to enable the Magento 2 product data translation during import. Next, it is necessary to configure the profile. After enabling it, create a schedule of updates. Yes, the Improved Import & Export Magento 2 extension provides the ability to specify intervals to run import and export processes automatically. We describe this feature in more details below. Besides, you should select a file format and a data source to run the import process with the ability to translate product data. Our plugin supports multiple file formats while the default tools work with CSV. Thus, you no longer need to convert them manually – everything is supported. And you can select one of the multiple sources of your data files. If necessary, the Improved Import & Export Magento 2 extension even lets you avoid data files and connect to a third-party source directly. All these features are described further in this post as well. Select the necessary entity – Products – and map external attributes to ones used by Magento 2. Note that it is impossible if you use the default tools so that everything should be done manually right in data files. To make the long story short, we will describe the mapping opportunities of the Improved Import & Export extension later. Now, it’s time to return to our mutton – the ability to translate data during the Magento 2 import. Improved Import & Export offers two ways to achieve this goal. First of all, you can rely on Google Translate to get fast and fully automated translations of the imported data. 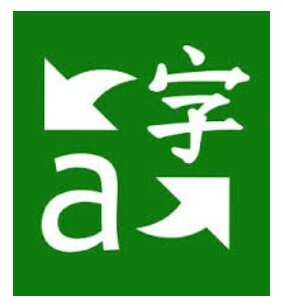 The next option is represented with Microsoft (Bing) Translator. The Improved Import & Export Magento 2 extension uses API to connect to both systems and exchange the data. You only have to select the service and specify input and output languages. That’s all! Of course, we all know that automated translations may sometimes be weird and uncertain especially when it comes to various SEO aspects of the text. Luckily, you can quickly fix the problem with the help of SEO templates and other features represented by multiple third-party tools. We’ve gathered the most robust Magento 2 SEO modules here: Magento 2 SEO Extensions. Read the article to find tools that allow enhancing the international SEO tactics provided by the ability to translate product data during import. Now, when you understand key principles behind the automated data translation functionality of the Improved Import & Export Magento 2 extension and know how to improve the related SEO aspects, we should say a few more words about Google Translate and Microsoft Translator and then proceed to the features of our plugin mentioned above. Being a multilingual machine translation cloud service, Microsoft Translator is integrated across multiple products via API. The same principle is used to connect it to the Improved Import & Export Magento 2 extension. If you’ve just thought about Bing, is also powered by Microsoft Translator. As of August 2018, the service supports 60 languages. At the same time, ten speech translation systems are powering various features of Microsoft Translator across different platforms and tools. As for the quality of Microsoft Translator’s machine translation outputs, it is evaluated using the BLEU score method. BLEU stands for Bilingual Evaluation Understudy, and it is an algorithm that checks the correspondence between a machine’s output and that of a human. It remains one of the most popular automated and inexpensive metrics. Note that due to numerous reasons the automatic translations are not always entirely accurate. But various feedback features integrated into Microsoft Translator allow users to suggest alternative translations making the overall functionality of the service more precise. It is also worth mentioning that since November 2016, Microsoft Translator uses deep neural networks in nine of its highest traffic languages to provide a better translation than industry standard statistical machine learning offers. Although all these facts look quite promising, we should also describe the way the work is organized around Google Translate. The second service that allows translating product data during the Magento 2 import is Google Translate. Being a free multilingual machine translation service, it is designed to translate texts via a website interface, mobile apps, or an API (like in case of the Improved Import & Export extension). From the perspective of the supported languages, Google Translate is more potent than Microsoft Translator. The service supports more than 100 languages at various levels. As of May 2017, its daily traffic surpasses the 500 million people milestone. Google Translate operates for more than a decade. Launched in 2006 as a statistical machine translation service, it uses transcripts of UN and EU Parliament to gather linguistic data. Another exciting feature behind the platform is the inability to translate the text directly. It first translates text to English and then to the target language. Considering this fact, we recommend you to run automated translations during the Magento 2 import for English texts. Thus, you will dramatically increase the correspondence of the output to a real language. The service analyzes millions of documents searching for patterns that help decide on the best translation. 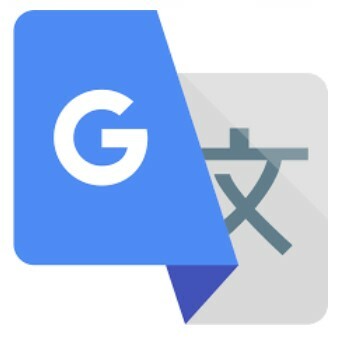 Since the accuracy of the initial algorithm has been criticized and ridiculed on several occasions, Google decided to push Google Translate to an entirely new level with the introduction of a neural machine translation engine – Google Neural Machine Translation (GNMT). Instead of translating fragments, it works with the whole sentences at a time. The broader context is used for figuring out the most relevant translation. Next, Google Translate rearranges and adjusts it to make the output more like a human speaking language with the proper grammar. In 2016, GNMT was enabled for a few languages only. Now, it covers a much broader area of languages, but still, some of them produce better results than others. The best performance is achieved when English is the target language, and the source language is one of the EU area and vice versa. The explanation of the situation is quite simple. Above, we’ve just mentioned that the work of Google Translate is based on EU parliament notes and UN documents. Thas, the overwhelming majority of analyzed reports is written in English. Another essential tip to do your automated product data translation during the Magento 2 import is related to the length of used sentences. The shorter they are, the more precise is the output. It is also necessary to mention that many more people use both services to translate to or from English. Since Microsoft Translator and Google Translate support community contributions, the quality of output is better due to a higher level of improvements provided by the community. Use SEO tools to optimize the output. These three rules will dramatically improve your multilingual e-commerce store while you will radically reduce the time necessary for their maintenance. Let’s take a look at other benefits the Improved Import & Export Magento 2 extension provides. The Improved Import & Export Magento 2 extension supports cron allowing you to create any custom schedule of updates. Thus, you can automate data import and translations since the module will do all the work for you in the specified moment of time. To create a custom schedule, you need to know the standard cron syntax. Alternatively, it is possible to choose one of the predefined intervals. Note that you can freely customize them. As for the practical use case, let’s imagine a situation that you’ve connected your store to a drop shipping platform that periodically provides new products or updates the existing ones with new data. With the help of the Improved Import & Export extension, you can not only import the vital information automatically but also translate it into multiple languages used on your local websites. In addition to schedules, it is possible to create import or export jobs designed for a manual run only. It is useful for a one-time procedure. For instance, you want to migrate from Magento 1 to Magento 2 scaling your business by introducing multilingual support. Create a new import profile without a schedule and configure its section related to translations to move the initial information to the new store and make it suitable for new environments. Also, note that the Improved Import & Export Magento 2 extension lets you launch every scheduled profile manually. Let’s assume that your drop shipping partner has provided you with a significant update today but the corresponding import procedure is planned for the next week. There is no need to create a new profile to import and translate this information. The Improved Import & Export Magento 2 extension enables you to launch the existing job manually. Another substantial benefit provided by the Improved Import & Export Magento 2 extension is the ability to use multiple file formats to import and translate data. The endless limitations of Magento force you to covert everything into CSV. The same situation is about most competitors who are bound by this standard. However, most third-party systems use a full range of file formats, and with our extension, you can quickly cover almost all of them. In addition to CSV, the Improved Import & Export Magento 2 module works with XML, JSON, ODS, and Excel. The extension lets you import and export data using one of these formats. Besides, the plugin supports multiple file sources. First of all, the Improved Import & Export module allows you to leverage the FTP/SFTP connection. This option can be split into two separate sources: local and remote servers. Simple import/export information from/to one that is the most suitable for your needs. The second file source is represented with the Dropbox support. You can use an account in the cloud to import files and run automated translations with the Improved Import & Export Magento 2 extension. Besides, the module lets you import data via a direct URL. Just specify the address, and it will transfer the data automatically. Also, note that all compressed files can be extracted by the extension without any external participation! If you are looking for a tool that allows creating a bidirectional integration, you’ve also come to the right place. The Improved Import & Export Magento 2 extension provides the ability to synchronize your e-commerce store with an external system via SOAP API, REST API, or GraphQL API. Nothing prevents you from not only importing the desired data with the help of this standards but also translating it in a fully automated manner. It’s not a secret that you need to edit data files before importing them into Magento 2. Even the migration from the platform’s 1.x versions is impossible without that. Usually, file editing is a dull and time-consuming procedure. The more data sheets you have, the more effort you should spend making them suitable for the import process. However, there is another way to achieve the same goal. As you might have noticed, there is the third column designed for hardcoded values. You can use it to apply the same attribute value for all items in the update file. Let’s focus on advanced mapping features of the Improved Import & Export extension now. The Improved Import & Export Magento 2 extension offers several more features that not only improved its mapping functionality but also make your routine work related to attributes automated. With our module, you can map attribute values or edit them in bulk. Let’s take a look at each feature separately. How can the ability to map attribute values save your time and effort in case of product data translations? The answer is quite simple: the Improved Import & Export Magento 2 extension allows you to match external values to ones used internally especially when they are already translated into multiple languages. The procedure is based on the same principle as attribute matching and takes place in the same environment. Select an external value and map it to the one used within Magento. Matching multiple external values to a single one is possible. You can find more information in this post: Attribute Values Mapping. Attribute values editing is another vital time-saver. The feature offers multiple rules and conditions designed to achieve this goal. The first opportunity provided by the Improved Import & Export Magento 2 extension is related to the ability to add a prefix. You can improve multiple values in bulk. The same behavior can be applied to attribute values with the help of suffixes. Besides, with our extension, you can merge or split the data if necessary. Create various conditions to apply the changes more precisely. The feature is described in more detail in this article: How to Modify Attribute Values During Import and Export in Magento 2. When it comes to the product data import, it is also necessary to mention that the Improved Import & Export Magento 2 extension enables you to map product categories. Thus, you can effortlessly match an external catalog to the one used internally. The category mapping functionality improves your daily routine if imported product categories are not suitable for your database. The module lets you match everything within just a few clicks. At the same time, you can create new categories right during the import process and point out the external ones to them. Both options are illustrated here: Category Mapping. The last feature we’d like to draw your attention to is the ability to create attributes on the fly. If any data is absent in the import file, you can face various issues while importing it. To avoid multiple headaches, we’ve introduced the ability to specify the necessary parameters for the creation of missing attributes on the fly. The Improved Import & Export extension can add them automatically. For any further details, follow this link: Product attributes import. The Improved Import & Export Magento 2 extension is designed not only to import data into your e-commerce website automatically without headaches but also translate the information using Google Translate or Microsoft Translator. Use English as a primary language, don’t create too long sentences, and apply SEO tools to make a perfect output within a short period. If you still have any questions, follow the link below and contact our team.